We are 2 couples who are Tesla owners and who met at a Tesla Road Trip in May 2016 in Williamsburg, Virginia. With much in common, but most importantly sharing a love for Tesla, its mission, and everything it stands for, we hit it off and started planning vacations together. 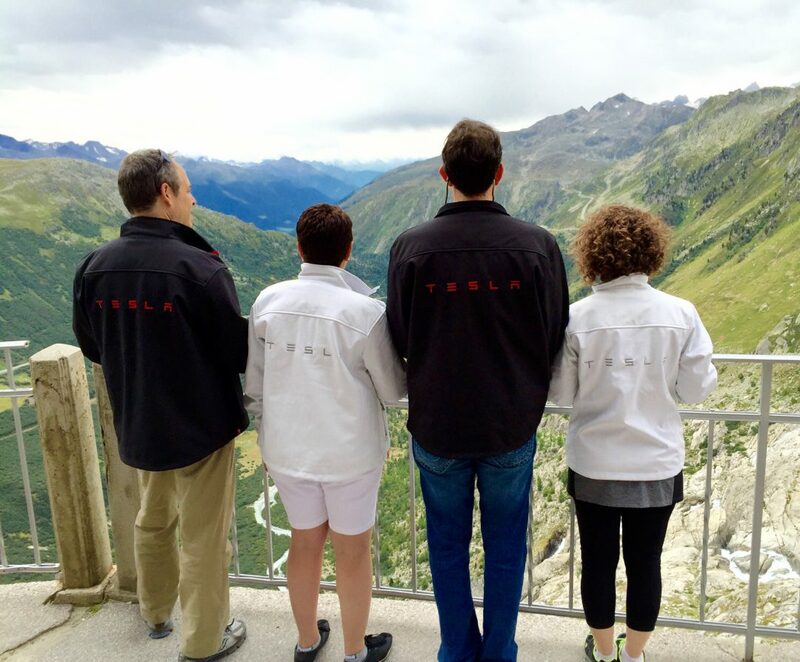 What better way to merge our interests in travel, hiking, and adventure with our passion for electric vehicles (EV) and green energy than to vacation in Switzerland, driving around the alps in a rented Tesla Model S, quietly accelerating in spacious luxury while having fun and leaving no local emissions in that beautiful environment. We are Tesla owners who are passionate about the environment and helping to transition the world to sustainable transport.